Smart Axiata Co., Ltd., a leading mobile telecommunications company of Cambodia, currently serves over 8 million subscribers under the 'Smart' brand. In January 2014, Smart launched its 4G LTE network and became the first mobile operator in Cambodia to provide true 4G services. 4G LTE powered by Smart, the fastest mobile Internet in Cambodia, is now available across all 25 provinces widely. Smart also provides 2G, 2.5G, 3G and 3.75G mobile services, supporting the very latest in multimedia and mobile Internet services as well as international roaming across more than 190 countries. 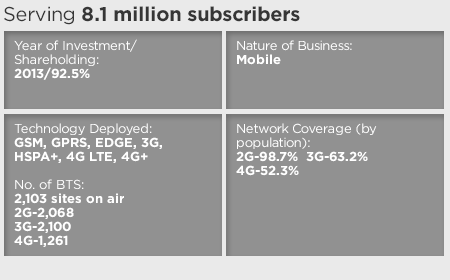 Its extensive nationwide network coverage covers more than 98% of the Cambodian population. In September 2016, Smart launched 4G+ also known as LTE Advanced using Carrier Aggregation, fostering its data leadership position in Cambodia. Through its partnership with Apple, Smart is the first and only telecom operator partner of Apple in Cambodia able to offer iPhones and iPads. Smart, moreover, is the exclusive partner of Universal Music in Cambodia. Being a strong advocate of digital innovation, Smart has launched various ranges of value added services and digital services such as SmartLuy, Smart Life Insurance, SmartPay and Smart Music. Smart Axiata was recognized as Cambodia’s Mobile Service Provider 2016 by Frost & Sullivan following the Asia Pacific Emerging Market Telecom Service Provider of the Year Award in 2015. Smart Axiata has also been awarded as the Best Telecommunications Company Cambodia and Best Corporate Social Responsibility (CSR) Company Cambodia in 2015 and 2016 by Global Banking & Finance Review.